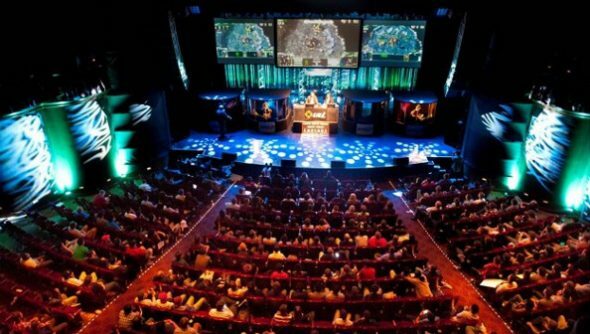 If IPL 5 just hosted the GSL Code S finals and the League of Legends tournament, it’d already by an amazing eSports event. But fortunately for all of us, it’s also playing host to a massive StarCraft 2 tournament of its own. 68 players from around the world are playing in a massive double-elimination bracket for a $100,000 prize pool, with $40,000 going to the top finisher. Play begins every day at 6 PM GMT / 1 PM Eastern, starting tomorrow, the 29th, and continuing through Sunday night. The only fly in the ointment, of course, is that a lot of the major StarCraft matches will occur at the same time as the biggest LoL matches, so expect to do a lot of stream jumping. As problems go, however, this is a good one to have. You’ll be able to watch StarCraft on the main IPL Twitch stream, as well as two additional streams. TotalBiscuit, Apollo, Tastosis, Grubby, Sheth, and JoRoSaR will be casting the event, among others. Although I’m not sure we would be better off with Grubby out there playing. It’s hard to overstate the star power in attendance for the four day tournament. All the players from the GSL World Championship and Code S tournament will be participating, plus some top caliber talent that won high seeds via IPL’s regional qualifiers. That means we can look forward to appearances from CranK, Polt, and TaeJa, among others. Choi “Polt” Seong Hoon has long been established as one of the world’s best Terrans, although he’s been quieter since ThorZaIN defeated him at DreamHack Stockholm back in March. Yoon “TaeJa” Young Suh has made a strong case for his Terran play throughout this year, racking up a string of tournament victories and podiums since the summer, including a great victory at DreamHack Valencia. Choi “CranK” Jae Won, meanwhile comes to IPL with a lot to prove as he tries to move on from the shambles of the SlayerS team, where he and former manager Kim “Jessica” Ya Yeon ended up trading accusations about who was more at fault for the collapse of the troubled team. CranK has since moved on to Axiom, and already had a strong showing at Lone Star Clash 2 that proved he still has what it takes to compete at a high level. Also qualified for the event are Protoss players HerO and Creator, who recently won DreamHack and took second at the World Championship, respectively. They will be competing with another SlayerS refugee, Mun “MMA” Seong Won (Terran) who now plays for Team Acer. He got fourth place at the last IPL and took third at the IEM Season VI World Championship. The Zergs are out in force at this event, with viOLet, American WCS champions ViBE, and MLG master Leenock all competing in a 29-Zerg field, the largest of any of the three races. And in the game. It’s impossible to predict what’s going to happen in this field, especially with so many key players competing in more than one event. The GSL World Championship contingent is terrifying, and I would probably expect the eventual winner to emerge from that group. The early rounds will probably see some lopsided games and swift exits from the tournament as the best wipe out the rest, but look for things to get amazing starting in Round 3 (12 AM GMT / 7 PM Eastern on Thursday). From that point forward, it’s likely going to be a battle of proven champions.